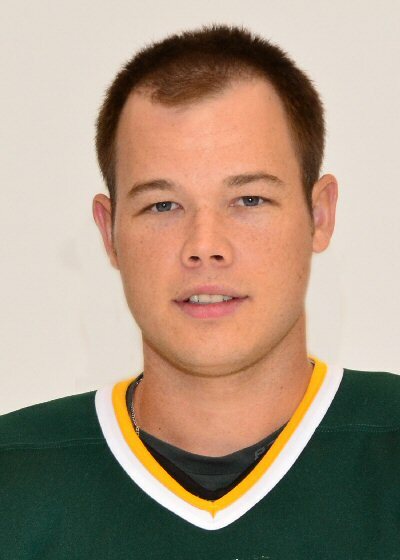 OSWEGO, N.Y. – Oswego State men’s ice hockey player Chris Brown (Centreville, Ont.) has been named the SUNY Athletic Conference Men’s Ice Hockey Player of the Week for the week ending February 10, 2013. Brown is the sixth different Laker to receive the honor this season. Brown registered six assists on seven Laker goals, as Oswego State defeated Buffalo State and Fredonia over the weekend to clinch a first-round bye in the SUNYAC Tournament. The senior captain tallied three assists in a 4-0 win over the Bengals on Friday. He then fed Bobby Gertsakis twice and Chris Muise in a 3-2 win over the Blue Devils on Saturday for his second straight three-assist performance. He assisted all four of the power-play goals turned in by Oswego State during the weekend. Oswego State ventures to the North Country this weekend, as the Lakers take on Potsdam and Plattsburgh in the final two games of the regular season.